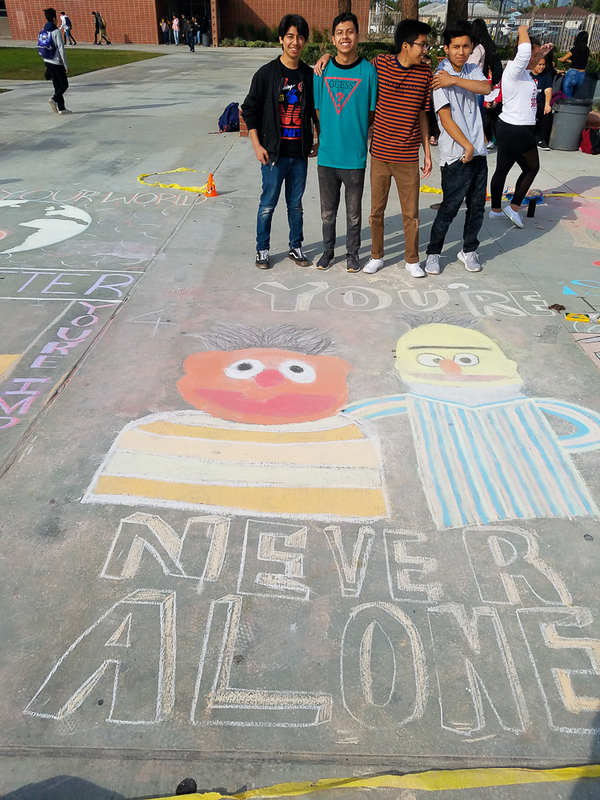 Chalk art contest winners for Valencias kindness week. 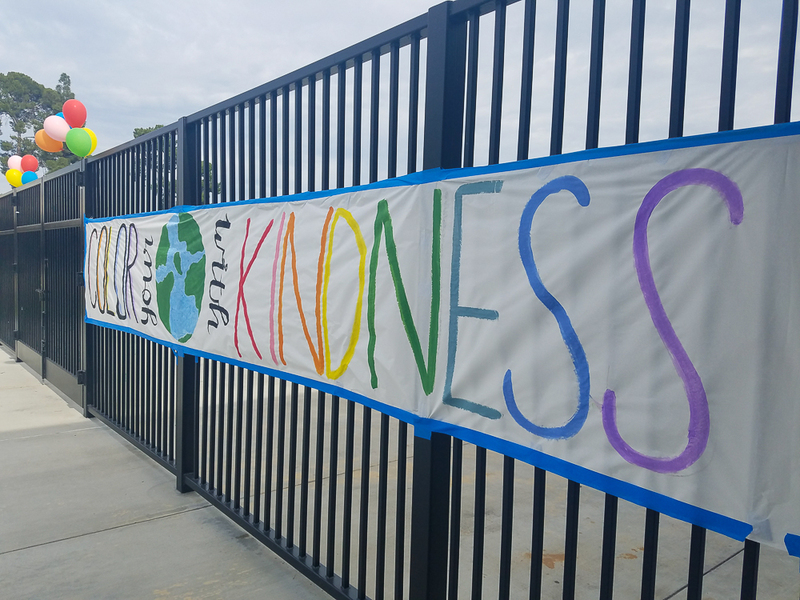 As students walked through the gates on Monday, January 28, they were greeted by Link Crew Leaders passing out stickers that said “Kind people are my KIND of people,” “Make kindness normal,” and “Kindness is cool.” Then, in second period, students watched an informational video surrounding the theme and took a pledge to be kind. 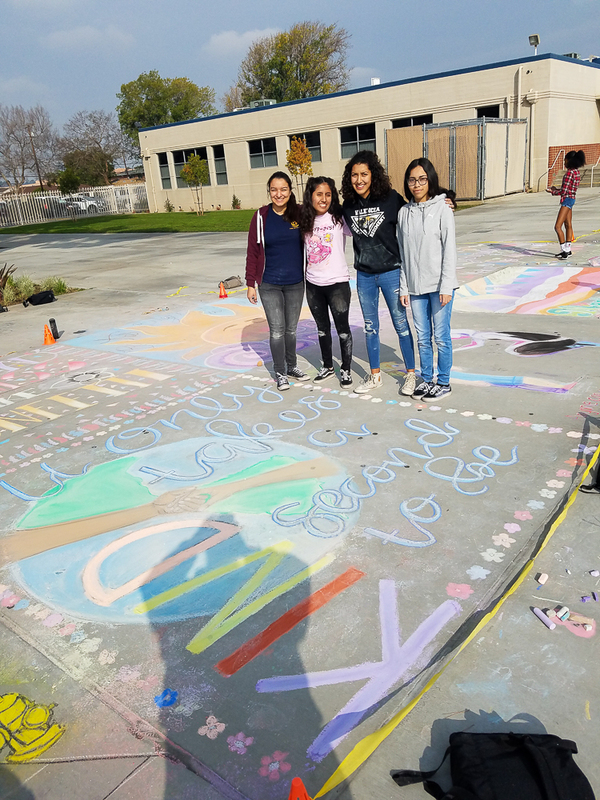 The rest of the week followed in suit with a chalk art contest, teacher tribute video, and photo booth, as well as a “U Matter” assembly with guest speaker Richard Kuo. 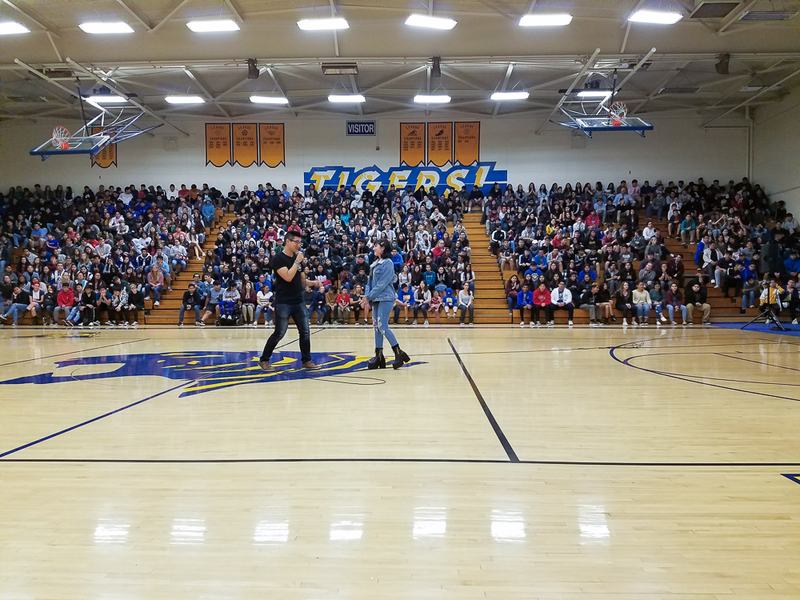 Candidly with the Tigers, Kuo shared about his personal struggles and encouraged students to speak openly about their challenges as well. 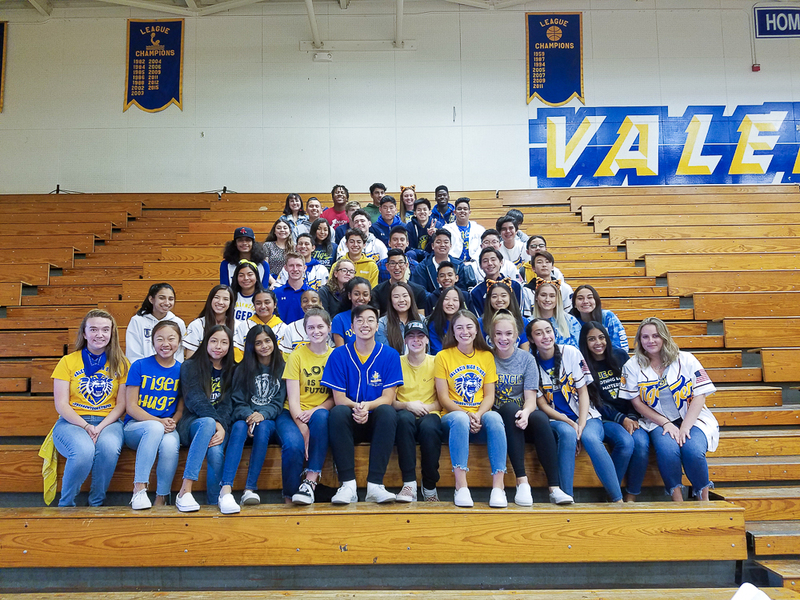 Ultimately, Kuo sent the students on their way with the message that “you matter” instilled. 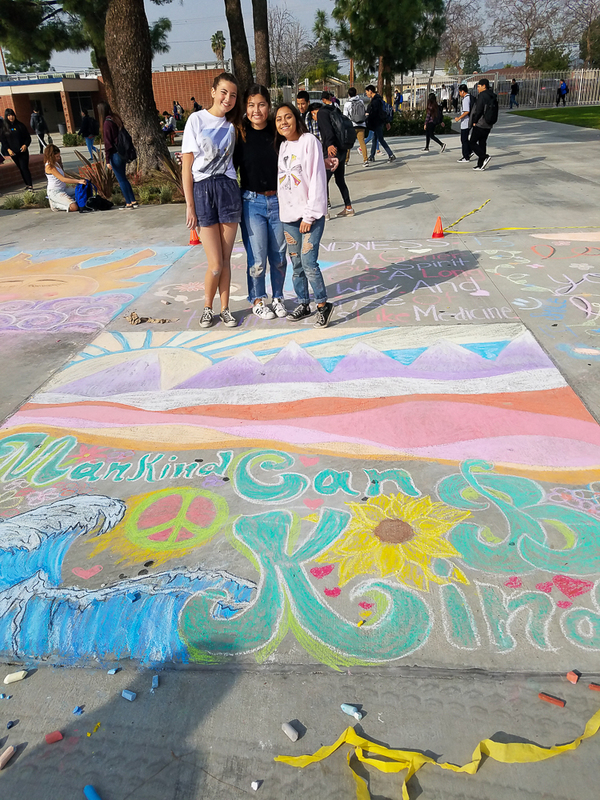 Be the first to comment on "Valencia High School students commit to kindness through week-long, inspirational campaign on campus"